Salman Khan entered the world of "Bigg Boss" with its fourth season as a host. Superstar Salman Khan, who entered the world of "Bigg Boss" with its fourth season as a host, says the show was first offered to his friend and actor Shah Rukh Khan. "The one who was considered to sign 'Bigg Boss' was Shah Rukh Khan. I didn't know about this. 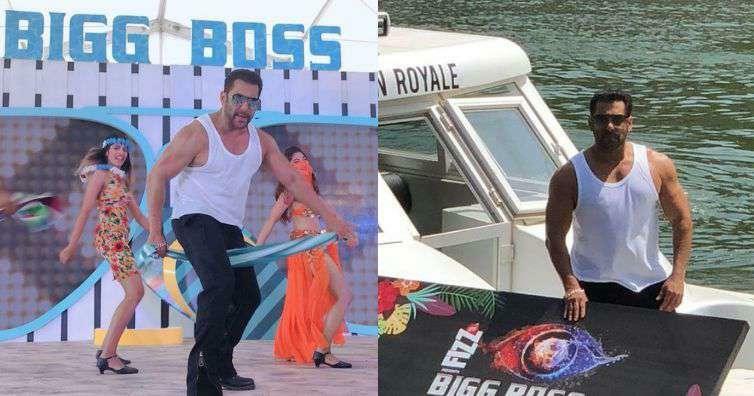 Shah Rukh was the original choice for 'Bigg Boss'," Salman said at the press conference of "Bigg Boss 12" at Villa Marina in Goa on Monday. "Earlier he had shoulder injury and he was shooting somewhere in Prague so, he couldn't make it... and he couldn't do the show. That's how I got 'Bigg Boss'," he added. The stars recently appeared on "Dus Ka Dum", a show hosted by Salman. They had also starred in hit movies like "Karan Arjun" and "Kuch Kuch Hota Hai". "We will work together if we get a good script. He was generous to appear in 'Tubelight'. You will also see me in 'Zero'," said Salman. Earlier Shah Rukh had said: "The first time I came to Mumbai as a struggling actor, I had my meals at Salman's place where Salimji (Salman's father) supported me a lot. It is because of them that I have become 'Shah Rukh Khan'." Salman Khan is the most popular host on the small screens. With shows like Dus Ka Dum and Bigg Boss, he is no doubt the most famous Bollywood celebrity and also the reason for the high rated TRPs in his shows. There is a good news for all the Bigg Boss fans as the show is coming back with its 12th season. Salman will be hosting the show again. The actor entered the world of "Bigg Boss" in the fourth season and till date he has been one of the reasons for the eyeballs of the show.